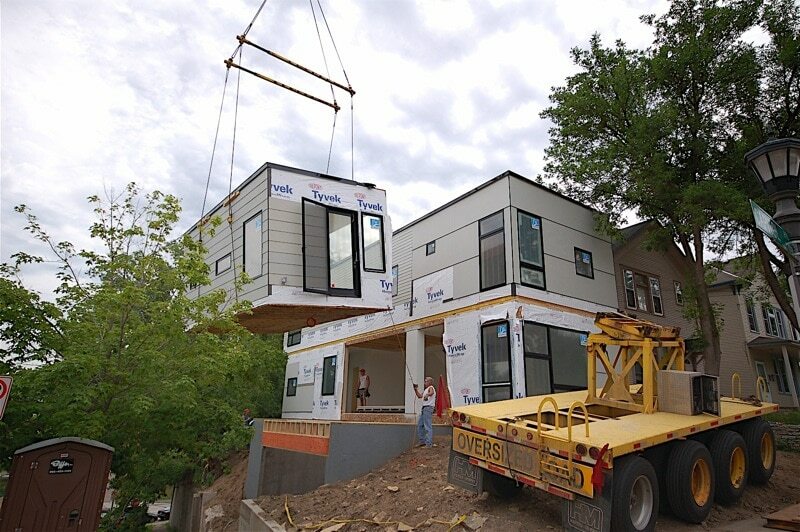 Hive Modular homes are designed to be able to withstand the elements and minimize construction time all while providing a higher level of quality control. Boasting experience in the high-end residential architecture industry, Hive’s team knows what people want and are always happy to oblige the needs of clients. The Hive team of designers brings 25 years of combined industry experience to the table, allowing the company to offer affordable modern prefab homes to buyers. Hive Modular offers three lines of model homes, and each one was designed to meet a certain type of buyer’s needs. Homes typically include large two-story central areas to maximize the use of daylight and help the homeowner save money on their energy bills each month. Many homes feature large groups of windows on the top floor to let in as much light as possible. Design concepts often include clean lines for a modern and comfortable home that’s welcoming and warm. Some floor plans also preserve the loft-like design with catwalks that allow you to maximize the home’s vertical space. Let’s take a closer look at Hive’s homes and all they have to offer. 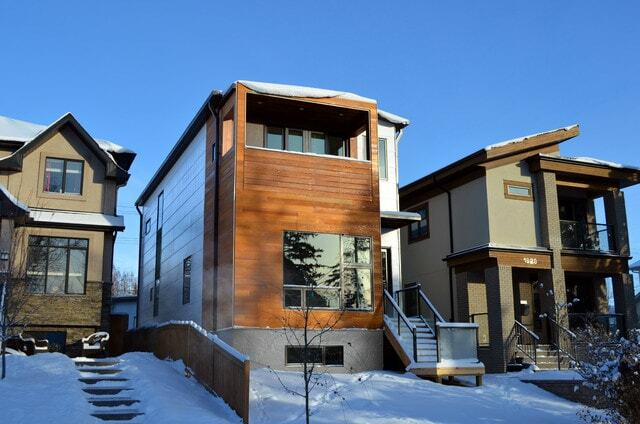 Hive’s lines of B-Line homes are designed for urban lots as small as 40′ x 100.’ These homes make excellent use of vertical space to give the feeling of living large even when on a narrow lot. The company has built several B-Line style homes, some of which are small and some of which are medium in size. Hive’s C-Line homes are designed for wider lots in rural and suburban areas. These homes feature open-living floor plans and expansive designs. While not as popular as B-Line homes, the company has built several homes from this line. Hive also has concept home designs that give you an idea of what the future of modular will look like. These concept homes are unique and often feature large open floor plans. All home plans and concept plans can be viewed online on the company’s website. 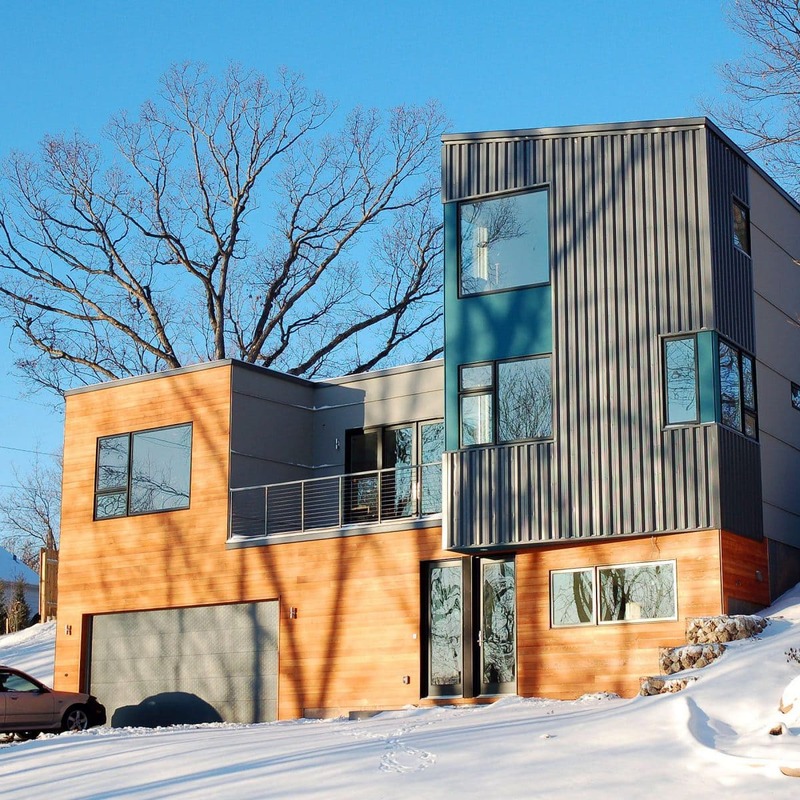 If you’ve ever read through container home kit reviews, you’ve probably seen one glaring complaint: constructing the home can be difficult for the average person. Hive homes are not like DIY kits. The company and its team of professionals will construct the home on your site. Hive Modular works with homeowners all over the United States and Canada. Hive homes are different than other modular homes. And compared to container homes prices, the average Hive modular home is costly. With that said, you get what you pay for with modern prefab construction and Hive homes are more robust, easily customizable and built with sustainability and style in mind. To be concise, their build quality is among the best in the industry. 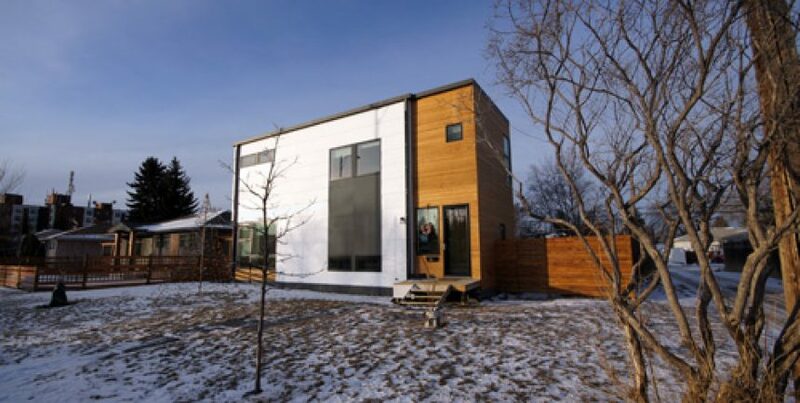 Hive’s modular homes are built with wood framed construction materials, much like a traditional site-built home. But the main difference is that the modular home is reinforced and strengthened, so it can withstand over-the-road travel. All Hive home designs allow you to easily add square footage in the future. The unique design of these homes allow you to start out with just the right size for your current family, and as your family grows, add new rooms (or several rooms) to the structure. When you search for Hive modular home reviews, one of the main questions is: how much will this cost me? 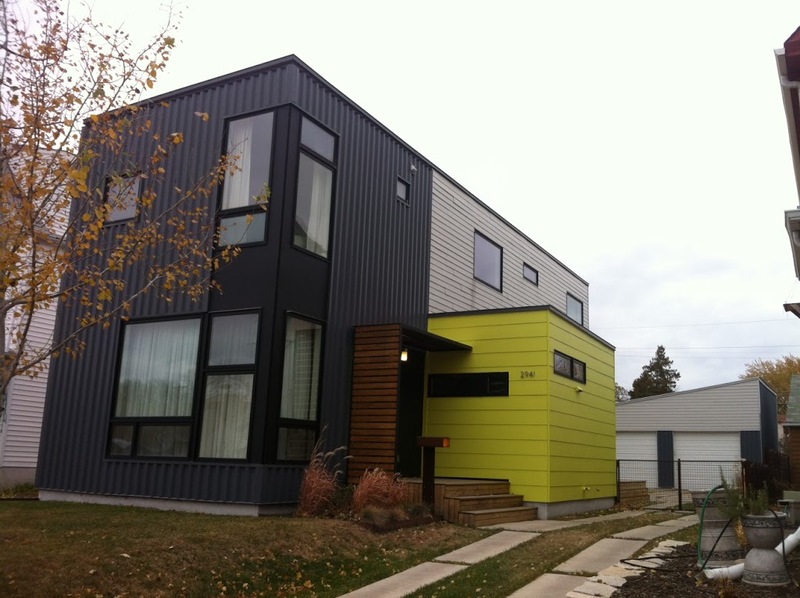 Some modular home companies post the costs of building their homes, but Hive does not. As the company says, the cost of the home will ultimately be dependent on your location, your choice of fixtures and finishes, and the state of your home site. Hive homes are fabricated, constructed and set quickly, so homeowners can move in as soon as possible. The company makes the entire process as simple and straightforward as possible, so you aren’t left guessing which stage comes next and how much the project will cost. 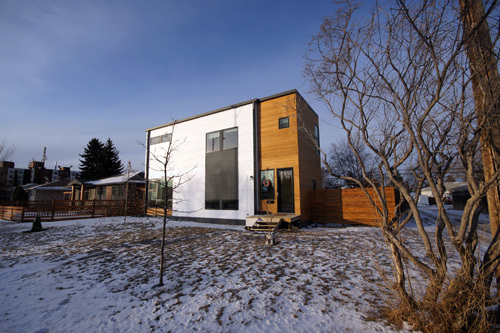 For homeowners looking for a sustainable home that features a modern design and efficient systems, Hive Modular is a smart choice.